Late presentation to human immunodeficiency virus (HIV) care is an important concern for clinical outcomes and HIV prevention. Significant proportions of HIV-diagnosed persons are not timely linked to care following HIV diagnosis. We implemented and evaluated an intervention to link to care persons never in HIV care (NIC). Disease intervention specialists (DIS) traced persons presumed to be NIC since HIV diagnosis, offered them assistance with linkage to care, and elicited reasons for NIC. We examined the overall outcomes of the intervention and reasons for NIC. From January 2013 to December 2016, 121 persons were traced; 19% were linked to HIV care. Significantly (all P < 0.001) higher proportions of persons linked versus not linked to care were diagnosed < 1 year prior to being contacted by DIS (48% vs. 13%) or had a HIV-related laboratory test performed within 0–7 days of their diagnosis (87% vs. 33%). Among the 105 who provided reasons for NIC, most commonly reported were not believing one’s HIV diagnosis (30%) and lacking medical insurance (18%). Approximately 10% had been to a hospital emergency room and 20% to a primary care physician in the past year. Health department efforts to link persons NIC for HIV care were effective with a minority of eligible persons. Persons diagnosed within 1 year or who underwent HIV-related testing within 0–7 days of diagnosis were more likely to link to care. Newly HIV-diagnosed persons should be promptly referred to undergo all diagnostic testing and assessments on the same day or within 1 week of diagnosis. Data was presented in part at the IAPAC. 12th International Conference on HIV Treatment and Prevention Adherence – Miami, FL, USA, June 4–6, 2017. 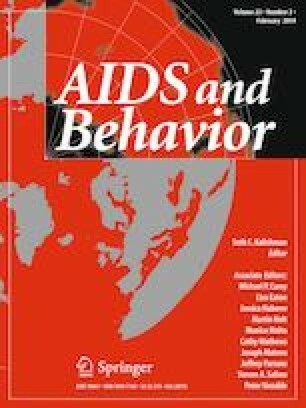 The authors are grateful to the New York City HIV case workers for their dedication and hard work in locating and assisting HIV-diagnosed persons with linkage to care and partner services. Funding for this program was provided by Ryan White HIV Care Program Part A, Grant #93.914. No institutional review board approval was necessary because this is a secondary analysis of data collected as part of the New York City Department of Health and Mental Hygiene routine case and partner services program. For this type of study, no formal consent is necessary. Centers for Disease Control and Prevention. National HIV Prevention Progress Report. 2015. http://www.cdc.gov/hiv/pdf/policies/progressreports/cdc-hiv-nationalprogressreport.pdf Accessed 12 Dec 2017. Health Department Announces Historic Expansion of HIV and STI Services at Sexual Health Clinics. Press Release, February 10, 2017. Available at: https://www1.nyc.gov/site/doh/about/press/pr2017/pr003-17.page.